SPRINGFIELD, Virginia, United States — In a joint press release, the U.S. National Security Agency (NSA) and the Drug Enforcement Administration (DEA) today announced a new operational intelligence program that has identified — and sub sequentially led to — the destruction of up to 95% of all illicit drug production facilities in Latin America, but neither agency would reveal details on how this new technique works. Until recently, the majority of the joint DEA-NSA efforts have been concentrated in the coca-growing regions of South America, which are situated in the eastern Andean slopes and the upper Amazon regions of Peru, Bolivia and Colombia. It is estimated that the three Andean nations produce 125,000 tonnes of coca leaf each year, ultimately netting $US4.5 billion in illicit revenues. 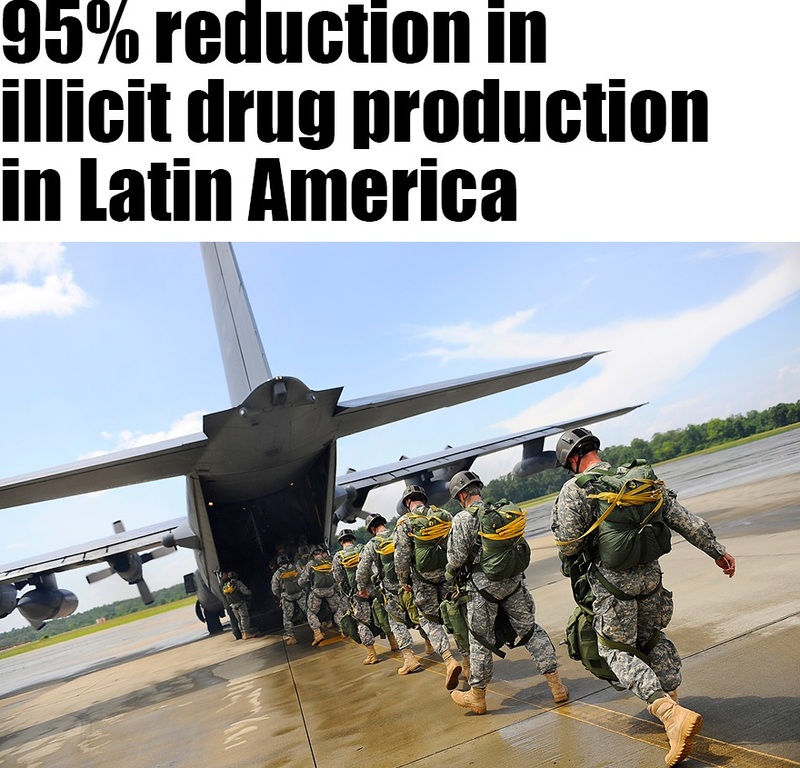 The drug trade has resulted in widespread violence, corruption, erosion of rule of law, and human rights violations caused by the emergence of powerful organized crime groups and drug cartels. Since the 1980s, it has been estimated that over 3 million people have died as a result these drug wars. The DEA estimates that 60% of South America’s cocaine is refined in Colombia, while Mexico, Central America and the Caribbean are the principal corridors for transporting drugs into the United States and Europe. Illicit drug production facilities in these regions are now also being identified and shut down. This news article is fiction. Read another version of these events in the thriller novel The Benevolent Deception.